Our big event on Tuesday was an inaugural coming together of about 40 participants. We'll share some photos and news on the blog asap. Trying to move away from the traditional 'staff meeting' or 'pd have it done to us mode' was a challenge that we managed by creating a more informal environment yet with a focused agenda plan. This will evolve and develop based on feedback and input from all participants who will help to drive our learning and change next steps. Thanks to everyone for your contribution. Now that we have moved outwards beyond our leadership group, we can keep connected through sharing happenings on the blog. That way our visitors who joined us like will Sharon (RT Lit) and Linda (RTLB) and our staff and whanau can keep up to date. It was lovely that our MOE Senior Advisor Lynn was able to join us from Dunedin as well. The link to evaluate our event is here. Thanks Lorraine for setting it up.https://docs.google.com/a/stjoseph.school.nz/document/d/1UySwbfQj53pcb7dNijOLAI042EG-0CDVp2ECmNr0eKs/edit We have added a column for ideas for the next event September 9th. Please encourage participants to contribute. 2. We have our next Whitestone LCN leadership meeting at 1:30 on Tuesday 19th August. St Joe's is available as a venue if needed. 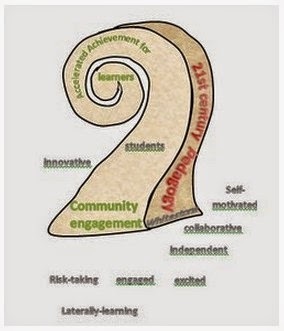 Here is a link to the agenda.https://docs.google.com/a/stjoseph.school.nz/document/d/1q9obABuh6jAQrCEs5OJVyevdwVcViZrCZTFneoHcnhM/edit Please add anything you wish to discuss.Lorraine has condensed our strategic plan into a more accessible document but we have gaps that need to be filled. Think about this ready for our meeting. 3. Lorraine, Sharlene and Janine will start Probe 4 with Weston staff on Mon18th and St Joes Tues 19th. This will be followed by a conference call with each network on the 19th August. Who would like to be involved in the conference call? The time is Southern: 8.45-9.15am The final agenda will be sent out to networks 20th August with the confirmed venues and the link to register.